At STiNO we help you inform, promote, entertain your target audience with innovative Digital Marketing products and technologies. Above you can see just a few examples of how our Digital Marketing solutions are helping business to grow on a global scale. Since there are many different environments and motivations for using Digital Signage systems based on audiovisual communication, we have listed a few important questions to guide you towards selecting the best solution to fulfill your requirements. STiNO solutions are used in a myriad of different vertical market segments and industries. These customer projects demonstrating the flexibility and versatility of the highly scalable STiNO software solutions. The touchPromoter software is a stand-alone kiosk- and interactive touch presentation software to create interactive presentations for multi-touch displays within a few minutes. A number of different menus and apps such as Swipe, Book Flip, Puzzle, Google Maps, Browser and others can be easily configured with the touchPromoter Configurator tool. The iChannel platform is STINO’s WEB-based Content Management System for Digital Signage Applications. It is available as Cloud-based SaaS license or as an on-premises perpetual license. iChannel supports Widows and Android based players. 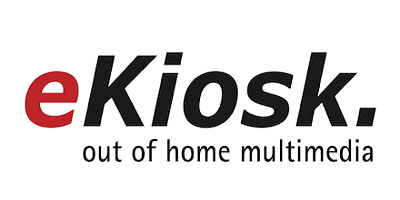 Extensions are available for kiosk and interactive as well as support for ePromoter as a simplified management tool from smartphone or tablet. The ePromoter management App allows you to easily manage your screen promotions without the need for a dedicated server. It is built for easy management of content play-out of images, videos and HTML-templates in local networks from Android tablet or smartphone. ePromoter can manage Android or Windows based player. STiNO, a German manufacturer of digital signage software for audiovisual communication solutions, is offering intuitive web based content management software from stand-alone systems to dynamic digital signage networks to cloud based services. STiNO’s software solutions are used in more than 30 countries supported with a worldwide network of certified partners. As one of the few providers, STiNO is capable to support diversified hardware platforms from PC to SoC systems running Windows, Android and Linux operating systems. Support for interactive applications via multi-touch displays and remote management possibilities via mobile devices such as smart phones or tablet computers complete the extensive range of solutions in the digital signage environment.